BookTrails is a 501(c)(3) non-profit organization that promotes a love of literacy. 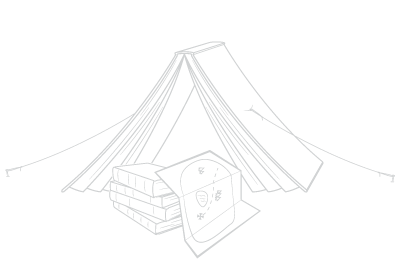 Our literacy adventure camps create new ways to experience the joys of reading and writing. At BookTrails, our students are able to experience and feel as though they are the main character in the favorite story—whether it be building a survival shelter, running through a stream bed, or sketching in a meadow. By using reading and writing as a tool to teach environmental principals, our students are given a unique perspective to view both literature and the natural world.